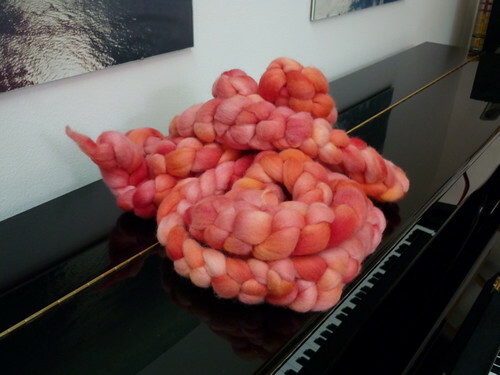 A friend dyed this gorgeous merino for me, and I will knit her socks. I got this on Sunday and haven’t stopped showing it off since. Just looking at the photo makes me smile. Can imagine seeing those lovely reds, pinks, and oranges in real life is a mood picker-upper.